Dutch Aquascaping Plant Collection for Tanks up to 24"
A 'Ducth Style' plant collection, recommended for tanks sized up to 24 inches (2 feet). The picture shows exactly what you will receive. Dutch plant collections are hand picked by us, plants are chosen according to the description above and will vary week to week depending on the stock we have in. You are always guaranteed a great mix for a Dutch aquascape. Should any specific plants become unavailable​ we will replace with a similar plant to the same or greater value. Good quality of mixed plants, all with good roots. All my plants are growing well after two weeks. Well packaged. Highly recommended. My first purchase and I am very impressed. 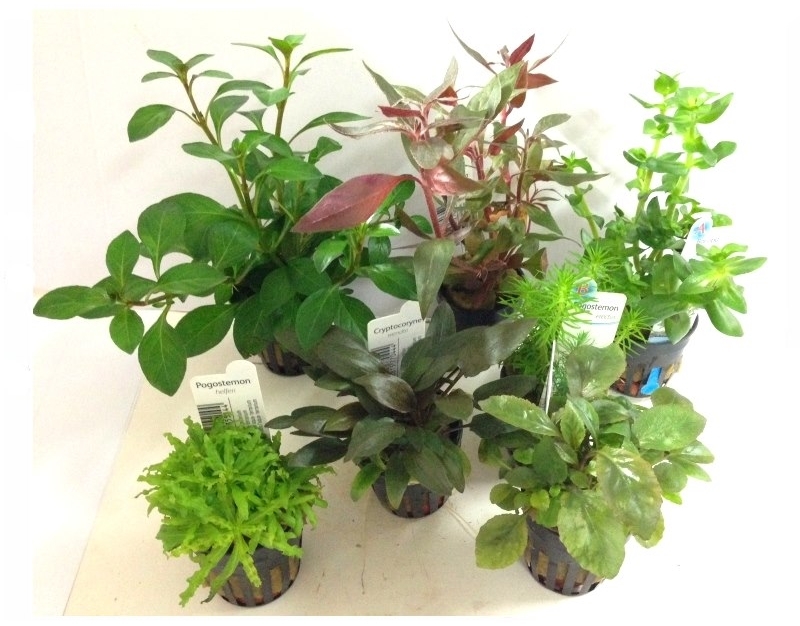 Good quality, well rooted plants arrived well packaged. They are a good mix of varieties and leaf shapes for my small tank. I will certainly be looking at other plant collections when I set up my larger tank. Just bought those plants to redecorate my fish tank, they looks great, and my fishes are well happy. Definitely will buy from here again. 5 Stars.